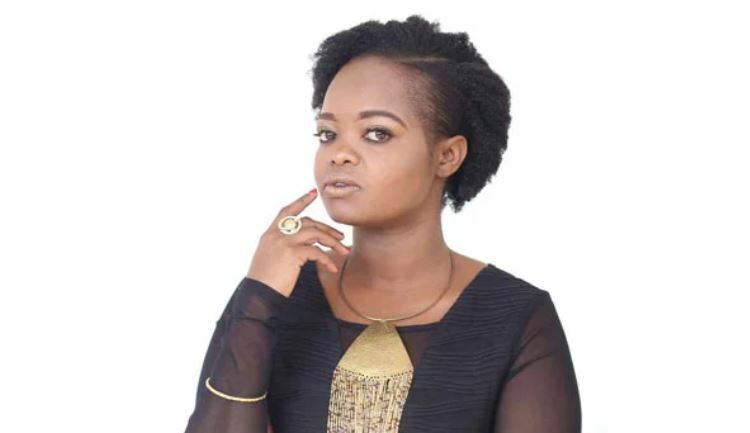 Nice Githinji is a household name in the Kenyan film and television scene. In addition to acting, the 33-year-old is also a producer, karaoke hostess, vocalist and TV show host. The ‘House of Lungula’ actress rose to fame when she was nominated in the 2009 Kalasha Awards for Best Lead Actress in the film, ‘All Girls Together’. Besides ‘Rafiki’, Nice Githinji has also starred in another globally acclaimed film, Subira, that is set to premiere this November at Westgate Cinema. The Kenyan film by Kenyan-Indian director Sippy Chadha is based on her 2008 short film of the same name. Starring Brenda Wairimu and newcomer Tirath Padam, Subira tells the story of a young girl who is determined to live her dream of being a swimmer against the odds of restrictive local customs and a looming arranged marriage to an upper class family. The film has earned 14 nominations at this year’s Kalasha International Awards. Nice talks about her character in Subira and what she has in store. You grew up in Mombasa, was this one of the reasons why you chose to be in Subira? Oh my…no. I agreed to be part of it because of how beautiful the story is. It has tragic and dreamy moments that tug at your heartstrings. However, it was an added advantage that the film was going to be shot in Lamu. Are there any similarities that you find similar with your character? None whatsoever. Unlike me, Mwana is someone who lets circumstances choose the direction of her life. She projects this on her daughter who also conforms, for the most part. Mwana, Subira’s mother, is a very traditional lady who has known no other life but the one she’s accustomed to; that women are put on this earth to serve men and God. At the same time, she empathises with her daughter’s dreams because in the back of her mind she believes that she would have led a better life had she had the chance or the guts that Subira has. What about the script appealed to you? The idea of playing a character from the Coast. I had to re-learn and brush up on my accent. I was also excited to work with Vibeke Muasya again after five years and curious to work with a new director, Sippy Chadha. I’d always heard of her and I knew about the short film so I looked forward to seeing how her mind interprets the script. In a nutshell, it brought challenges my way. What scene was the most difficult to shoot? When Subira and Mwana are at the beach attempting to have a heart-to-heart; instead of being honest about their respective situations and feelings, they gave each other subtle glances and spoke in generalities. The scene was hard for me because it was emotionally distressing being in Mwana’s shoes – trying to be strong for her daughter yet she too was broken inside. So much was unsaid in that scene, I hope the audience will get to see that. I just wrapped up a TV sitcom for KTN Burudani that’s coming at the end of October. I was proud to have been in the cast of Rafiki, considering it made Sh3.3 million in just a week. It also changed people’s lives, giving a voice to those who feel they have none. How can you describe the industry now and when you joined it? We’re taking more risks when it comes to storytelling. We’re obviously done with “Aids” and “Slum” story lines, and the audience is receiving the new content with an open heart and mind. It started with the likes of House of Lungula, Kati Kati and Nairobi Half-life and now the new breed of Supa Modo and Rafiki shows the growth.